Loud pulsing “hum” of two diamond-shaped aerial objects above the Hebei Luannan Power Plant inside Luannan County, Tangshan City, Hebei Province, China. 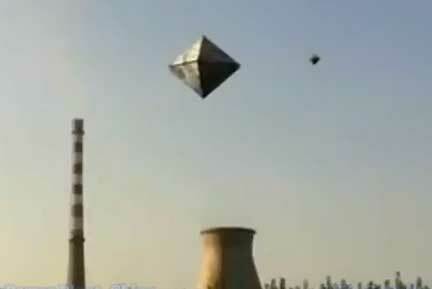 The smaller diamond-craft is orbiting the larger diamond-craft. Click video posted at YouTube on September 9, 2011. 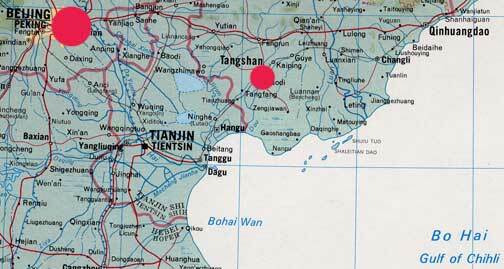 Coal-fired power plant in Luannan County, Tangshan City (right red circle), Hebei Province, China about 125 miles (220 km) east of Beijing (upper left red circle). Operator: Peak Pacific. Configuration: 2 X 50 Megawatt CHP that went into commercial operation in 2000 with power sales to North China Power Group. 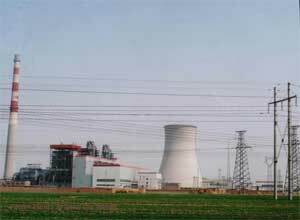 Hebei Luannan Power Plant inside Luannan County, Tangshan City, Hebei Province, China. 2005 photograph courtesy of Peak Pacific (China) Investment Ltd.